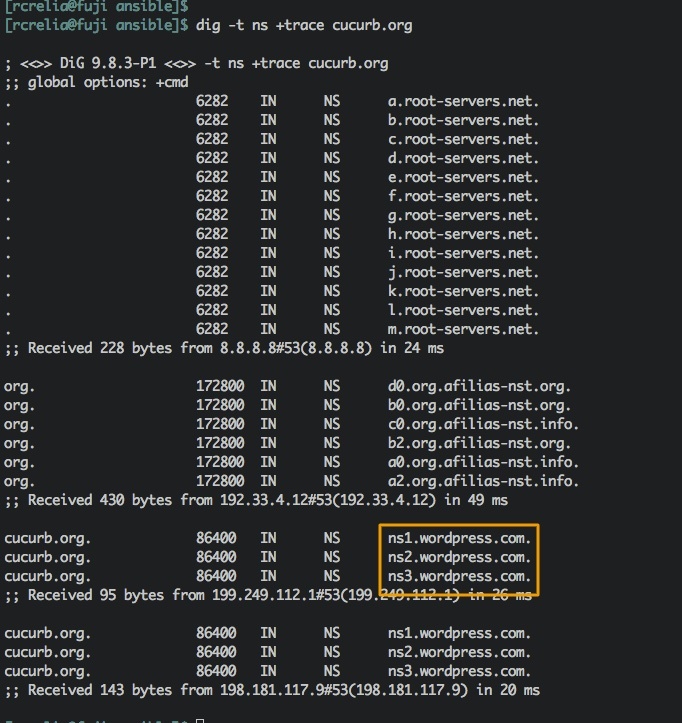 I use AWS Route53 for registering domains that I use both personally and in my devops R&D lab work. It’s relatively inexpensive as registrars go (most of the ones I’ve registered are $12/yr) and domains integrate by default into Route53, which is very helpful for whatever hosting you perform via AWS. Both of these are easily performed in the R53 administrative console, but in different places. So, let’s change the delegation on our zone so that the TLD DNS servers look to the right place. 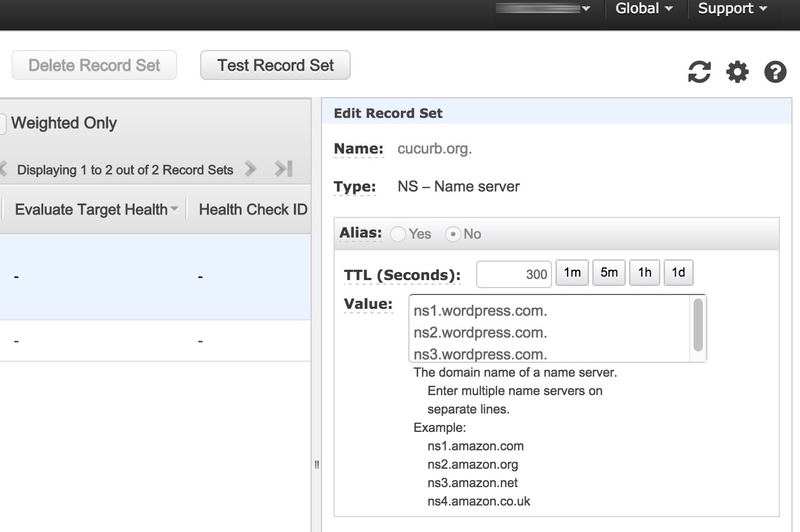 On the R53 console, navigate to Domains, Registered Domains, then select the domain you want to change. You should see a screen that lists some expiration, renewal, authorization, and tag parameters along with a list of name servers on the right side. That list needs to be edited in order to fix the delegation pathing for the new NS record entries. 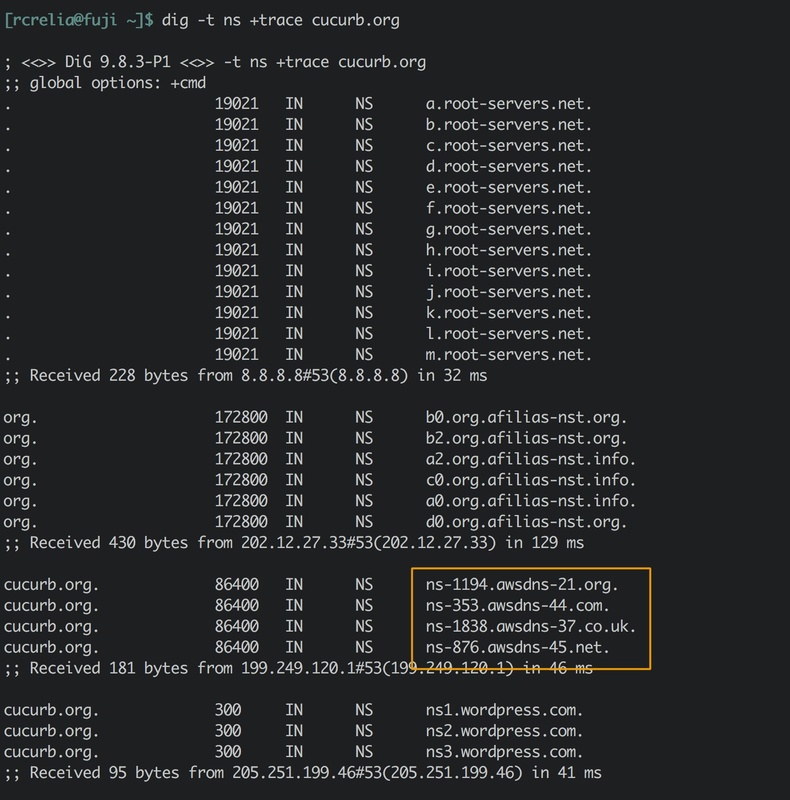 At this point, the delegation path between the new WordPress.com DNS servers and the TLD .org DNS servers is established and your application/blog should now be working.